Police at the Co-op in Shoreham. Photo by Eddie Mitchell. A West Sussex PC has been praised after he single-handedly arrested a man at a Co-op store who had allegedly threatened him and another person with a knife, police have said. PC Owen Flitton from Worthing was called to Southwick Square, Southwick, just before 7.25pm on Monday June 27 after a report that a man had tried to steal a taxi. The man had left the area but police said he had allegedly been trying to steal another car parked nearby. Police said PC Flitton located him in Upper Shoreham Road near the Holmbush Roundabout and challenged him. The man claimed to have a gun in his holdall and the officer calmly updated colleagues by radio. According to police, the man then ran off, pulling out a knife and allegedly attempted to steal another car occupied by a woman who he threatened, but the officer prevented this and the man ran into the adjacent Co-op store and vaulted the counter, followed by PC Flitton who jumped on him and arrested him after a struggle in which he was assisted by a member of the public and arriving police officers. 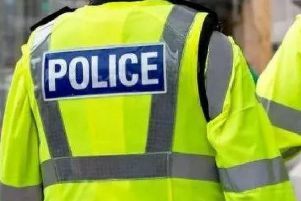 Police said a 22-year old man of no fixed address was arrested on suspicion of robbery, affray, making threats to kill, attempted vehicle theft and possessing an offensive weapon - a kitchen knife. He is currently in custody for interview and further enquiries. No firearm was found. The deputy chief constable, Bernie O’Reilly, has also praised PC Flitton on social media. Anyone who was in Upper Shoreham Road, Holmbush Roundabout area early on Monday evening and saw what happened is asked to contact Sussex Police on 101@sussex.pnn.police.uk or call 101, quoting serial 1452 of 27/06. Readers can also contact the independent charity Crimestoppers anonymously on 0800 555 111.